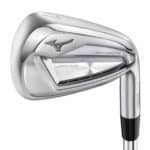 Puma has launched on to the golf seen as the preferred brand of stylish golfers. With the help of Rickie Fowler and Lexi Thompson, Puma has really taken off in the golf world. If you are looking for shoes that are comfortable and look great, the PUMA Titantour Ignite is a great option. PUMA might not have the same name recognition as brands like Nike and Adidas, but there is plenty to like about the shoes. These golf shoes provide plenty of grip, are comfortable, stylish, and fairly cheap. Let’s explore them a little further. The Titantour Ignite is a very stylish golf shoe and will stand out at the golf course without too much flash or flare. Puma is known for pushing the boundaries of style in golf, and they’ve continued to do so with this shoe and the Hi-Top SE version (the shoes that Rickie wears). 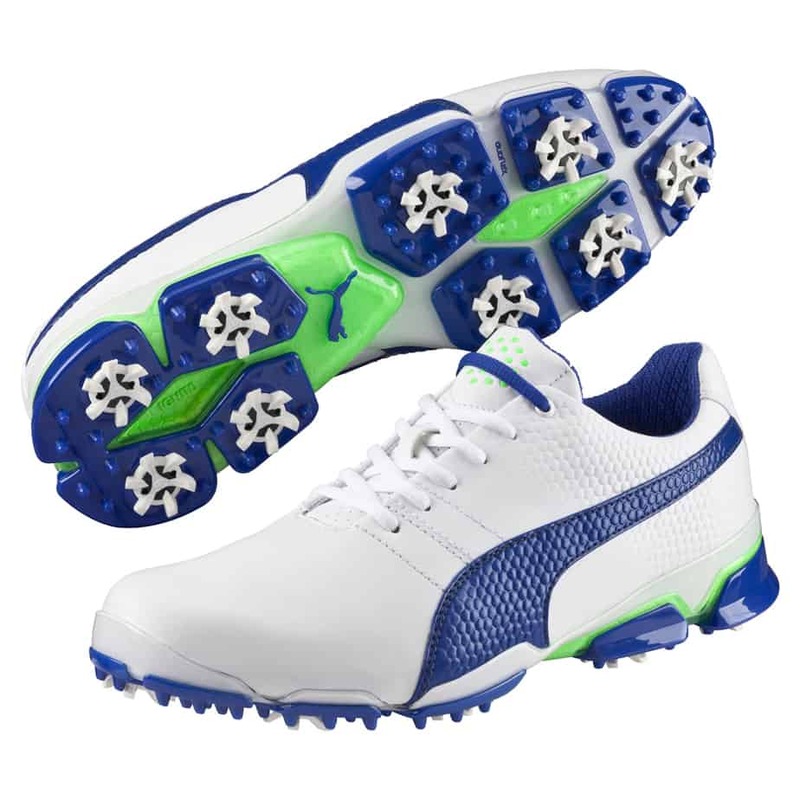 These golf shoes are sleek, streamlined shoes with the traditional PUMA stripe down the side. 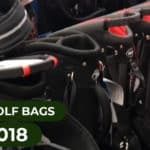 They’re available in a variety of colors and they usually come with a price tag slightly lower than some of the other best golf shoes on the market. 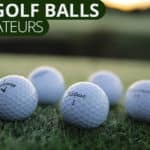 Whether you intend to walk the golf course on a regular basis or not, you need comfortable golf shoes. 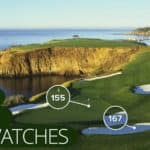 If you’re one of those players that prefers to walk, you definitely need a shoe that will stay comfortable for the entire round. The PUMA Titantour Ignite delivers on that need. 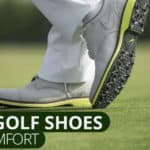 The Ignite foam used in this golf shoe will keep your feet feeling fresh, but avoids that mushy feeling that can arise from a spongy pad at the bottom of a golf shoe that doesn’t provide enough stability. If you’re hesitant to purchase a pair of Pumas because they aren’t made by one of the other titans of industry, we urge you to reconsider. Pumas are among the best golf shoes on the planet and provide players with excellent comfort, feel, and style. 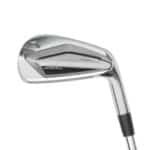 To top it all off, they are also on the cheaper side when compared the other best golf shoes available and, as such, are some of the best golf shoes for the money. In addition to the Titantour Ignite, there is also a Hi-Top SE version of the golf shoe. 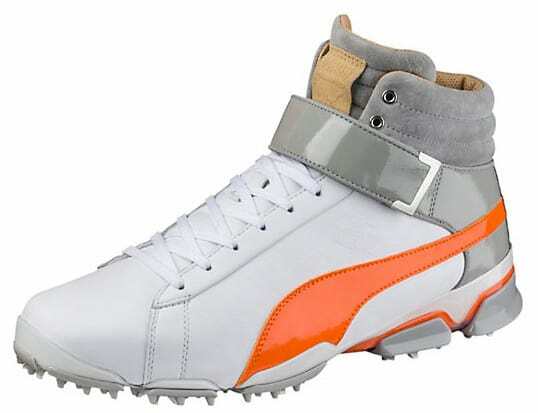 This version has a higher top portion with a velcro strap and was designed by Rickie Fowler. These shoes provide the same great feel, playability, and durability as the traditional TitanTour golf shoe, but they also add a ton of style and flare. If you’re goal is to truly stand out on the golf course, these may be the best golf shoes for you.